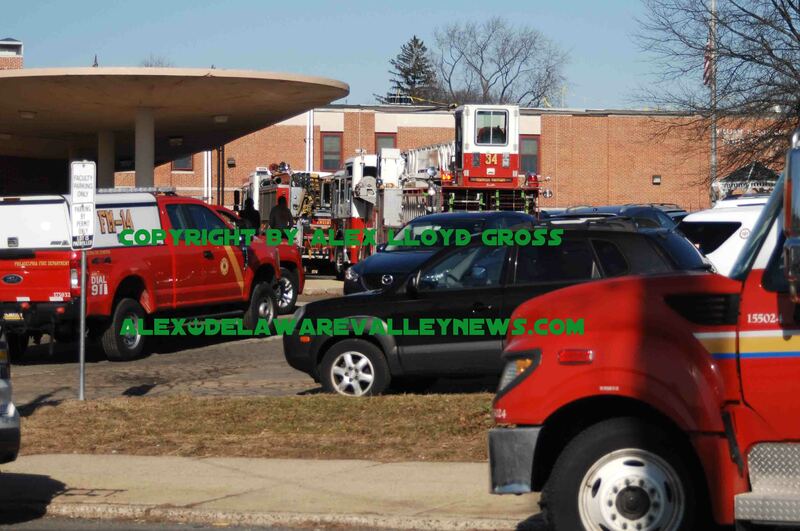 Alex Lloyd Gross Photo- Delaware valley News.com Fire crews at the scene of Loesche Elementary School. As more fire companies were dispatched to the scene, some concerned parents showed up. They were put at ease when they saw workers on the roof, and emergency personnel standing by the building, talking. The students that were taken to the hospital went more as a precautionary measure and they are fine. The school, located on Tomlinson Road at Bustleton Aveenue had the children shelter in place, while fire officials tried to find what, if anything caused the odor.